Michael Finocchiaro is a originally from Miami, but has been living in Paris as an ex-pat for over 20 years and has worked in IT for over 25 years. Always passionate about literature, during a period of idleness in his career, he wrote his book in about five weeks. He is an avid reader and very active on goodreads.com with hundreds of well-appreciated book reviews. His twitter is @le_fino and his blog is at mfinocchiaro.wordpress.com. He is working on the sequel to his first book. 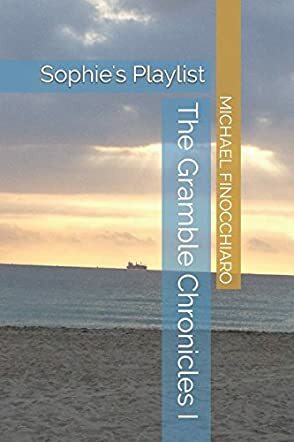 Gramble Thyssen discovers just how small the world is when he begins to investigate the connection between organized crime and the Indian casinos in Miami in The Gramble Chronicles 1: Sophie’s Playlist by Michael Finocchiaro. This convoluted tale is told by numerous characters, each somehow playing a part in putting the pieces of the mystery together. From pot fields in California to MIT engineering, from drug cartels to the Mafia and Miami, France, Japan to purgatory in the underworld, the characters relate their parts in the overall development of the story, blending everything together into what turns out to be a very tight story. Gramble knows that some well-dressed thugs he sees outside the Indian casino are not there for the gambling and, after switching from the Bureau of Indian Affairs to the FBI, he is able to utilize more resources to follow up on his hunch. With the surprising entrance of people from his past, Gramble has even more to go on and puts together an operation to take down the drug smugglers. It’s just a matter of who has better intel and firepower. Michael Finocchiaro has put together an amazing montage of individual lives and brought them together to create an exciting mystery. The Gramble Chronicles 1: Sophie’s Playlist is a bit difficult to get into with all the different characters, but when the story comes together, it is dynamic and engaging. Finocchiaro is obviously well read and makes many references to authors, and song lyrics begin each section of the book. While perhaps overwhelming if you aren’t familiar with the quotations, you can certainly enjoy the vivid scene descriptions of places around the world and the solid character development. The Gramble Chronicles 1: Sophie’s Playlist ends up being a very good book.